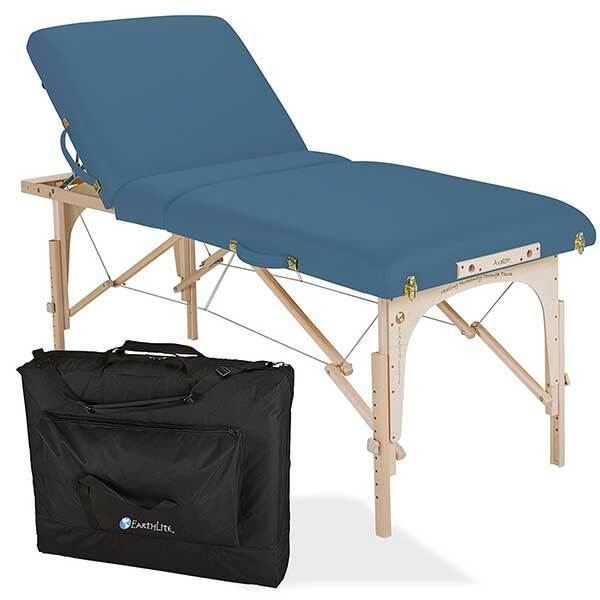 In this article, we will take a look at the Inner Strength Element Portable Massage Table. Inner Strength is one of the companies under Earthlite’s umbrella. Its sister companies are Stronglite and Living Earth Crafts. Each has its niche in the massage equipment marketplace. 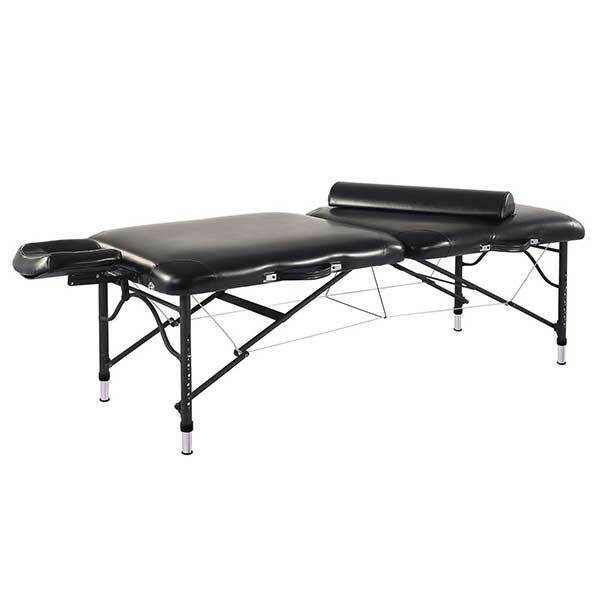 Living Earth Crafts specializes in electric and hydraulic-powered massage tables. It also has a strong presence in the salon and spa industry. Meanwhile, Earthlite, Stronglite and Inner Strength are in the manufacture of massage tables, chairs and accessories. Earthlite is known for its premium portable massage tables and accessories while Stronglite has its dominance in portable massage chairs segment. 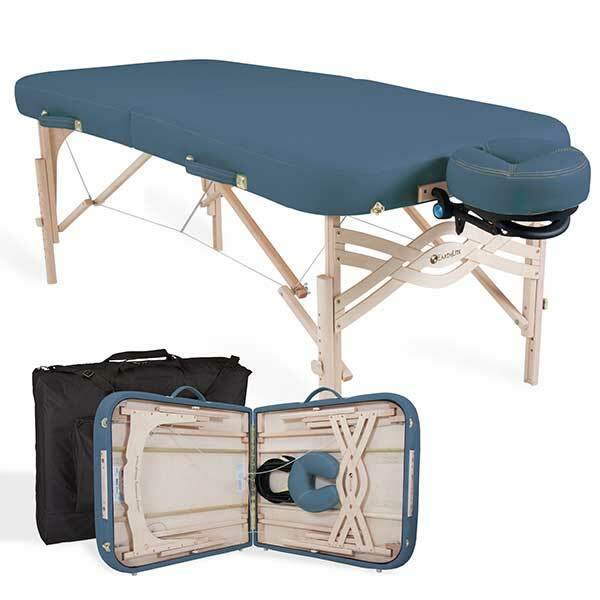 The Inner Strength Element Portable Massage Table is a package that’s suitable for beginners. It doesn’t cost as much as an Earthlite premium massage table, but it goes through the same quality checks that its parent company requires. Probably a good analogy of how the Inner Strength brand is positioned is seen in the electric guitar market. Hand-made and custom-made guitars are priced higher and will bear the Gibson brand name, while similar models that are mass produced in the factory are priced lower and will bear the Epiphone brand. Both undergo strict quality checks, but they are sold to different segments of the market at varying price points. 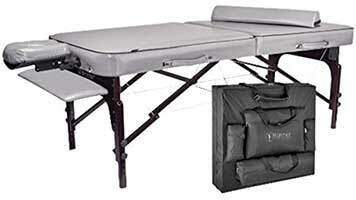 The Inner Strength Element Portable Massage Table is pretty basic. The whole package includes the table itself, the headrest and a carrying case. The table also lacks support for Shiatsu. Many massage tables include release cables that allow the legs to fold completely instead of being in the auto-lock position. The bundled face cradle is made of plastic. It’s a strong type of plastic, but a steel or aluminum frame would have been better for peace of mind. Regardless, there are third party face cradles that are compatible with this table. Despite its flaws, the Inner Strength Element may be the goldilocks zone for Reiki practitioners. It’s akin to Earthlite’s quality standards, has full Reiki support and costs significantly less than Earthlite or other competing premium brands. 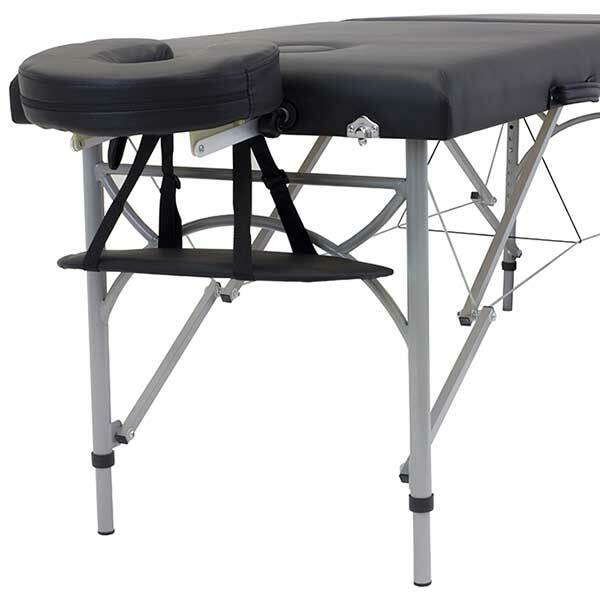 In fact, the Element E2 is one of the least expensive premium massage tables. 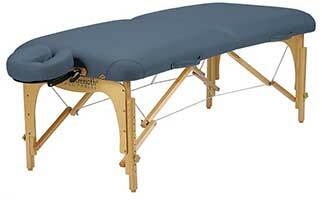 Additionally, it is also one of the lightest wooden massage tables at 32 lbs.